The tourist-friendly location of the Strand market and the history of informal traders in the area set the stage for a prime opportunity to transform the newly upgraded market into a modern, vibrant, commercially sustainable business. The market space is located in the Strand Precinct on Beach Road and the draft Strand Informal Trading Plan proposes that it will consist of 70 trading bays. 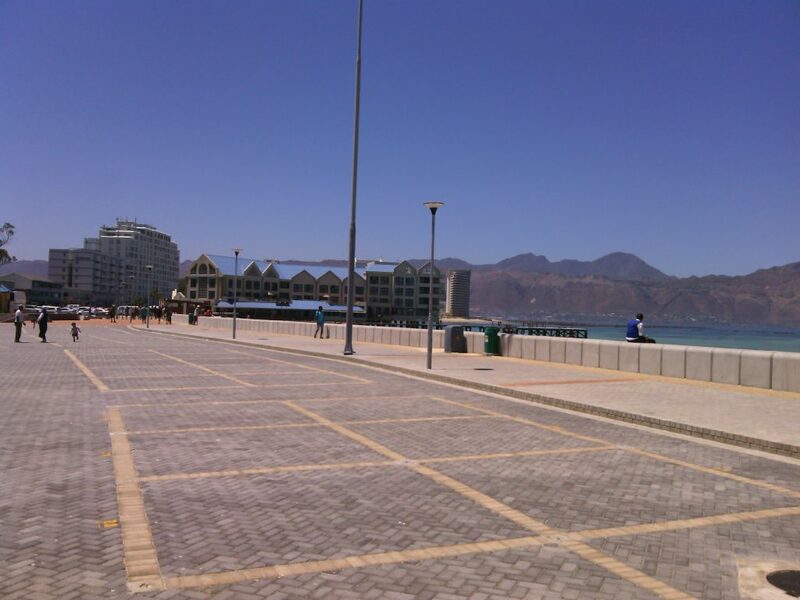 A series of infrastructural upgrades took place in Strand during 2017, which included among others the reconfiguration and resurfacing of the parking areas, the realigning and upgrading of the sea wall, the redevelopment of the ablution facilities and offices and provision of space for an informal trading market. 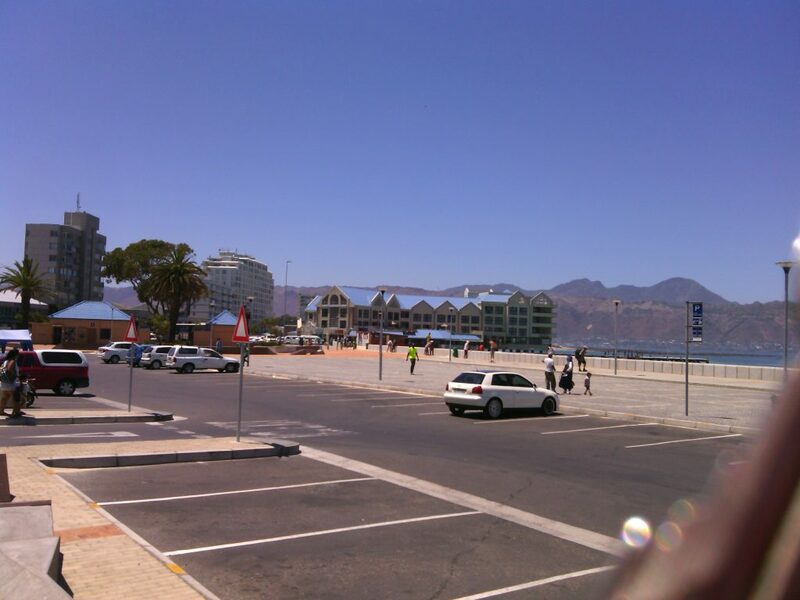 In view of the fact that the traders who will be operating in the market area do not currently have a legal entity – representative of all traders – that would potentially contract with the City of Cape Town for management of the market, the City approached the SBID to consider and propose a management plan for the Strand Pavilion Trading Market. The task of the management body would be to ensure that the facilities are well maintained and that trading activities are managed optimally. In its call for a proposal the City pointed out that it was a high priority to ensure that the market was well managed and that the space was safe, clean and inviting for customers to have fun and enjoy all that would be on offer. It would be a priority to create a safe market environment through, amongst other things, monitoring compliance by not only traders, but also visitors with the rules of the market. Law enforcement officials would have to be involved in the event of any law infringements in the market. 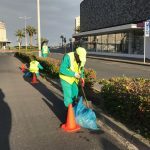 The City of Cape Town advises that the service provider may employ a combination of CID security and EPWP Unit City Law Enforcement Officers in order to ensure that the market would be safe and secure throughout the week. In his message SBID chairperson Grant Goodwin said he was excited about the prospect of the intervention and wished Geocentric’s Gene Lohrentz and his team well with the process. The current management of informal markets is based on the formulation of by-laws and policies, as well as trading plans and permit fees in some cases. Management is also based on the employment of district area cooridinators responsible for informal trading in specific regions. The Strand Precint, which is a historic beach resort area that is popular with with tourists and locals alike, is home to many economic activities. Both recreational and small-scale fishers sell fesh fish directly to the public from the slipway. 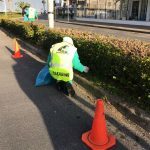 The area also includes a parking area, a hotel, offices, restaurants and public ablution facilities, as well as accommodating traders predominantly over weekends and during the summer season. Notice is hereby given of the Annual General Meeting of the Strand Business Improvement District NPC that will take place on the 25 October 2017 at 14:00 at the Friedman and Cohen, Corner of Main Road and Wesley Street, Strand. Please confirm your attendance / non-attendance by email to info@strandbid.co.za. Resolutions presented at the AGM can only be voted on by bona fide members of the Strand Business Improvement District NPC. This membership is available free of charge to all owners of commercial and industrial property within the Strand Business Improvement District NPC, but they must be registered before 11 October 2017. If you are not the registered owner of this property, kindly forward this notice to the registered owner immediately. 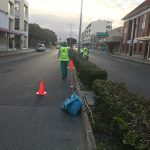 Early morning Cleaning and Beautifying the Main Road in Strand CBD. http://strandbid.co.za/wp-content/uploads/2018/09/bid-future-strand-combi-logo-v03.png 0 0 admin http://strandbid.co.za/wp-content/uploads/2018/09/bid-future-strand-combi-logo-v03.png admin2017-08-23 08:10:532018-08-23 14:18:41Early morning Cleaning and Beautifying the Main Road in Strand CBD. Membership of the SRA, which is a non-profit company registered under the Companies Act, is open to all the registered property owners who are encouraged to apply for membership so that they may exercise their rights to influence the business of the SRA. Membership cannot be denied to a registered property owner and as a member the property owner is entitled to attend, participate and vote at members meetings of the Company held under the auspices of the Companies Act. Should a member be unable to attend they may give another individual their proxy to attend and vote on their behalf. Non-members may attend and participate at members’ meetings but cannot vote and as such may thus have limited influence on the SRA’s activities. The City of Cape Town has published new parking tariffs in the 2017-18 draft budget. We would like to submit comments to the City regarding the cost of parking in the Strand CBD. Please assist us with a short survey regarding currently parking arrangements in the Strand CBD. Simply click on the link below to complete our short survey. The City of Cape Town is calling on residents to intensify their efforts to save water. Overall usage of drinking water is currently approximately 10% higher than the required savings target to prevent drawing dams down to dangerous levels by the end of summer. The City of Cape Town advises residents that overall water consumption since the imposition of Level 3 restrictions is still 10% above the savings target of 800 million litres per day. 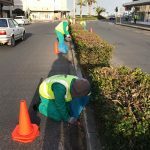 In order to protect our water resources, residents have been asked to keep their water consumption over the coming summer months in line with their consumption over winter. Residents who would like to save water could consider harvesting rainwater or installing a borehole or water-well provided they register these with the City. This investment will also result in savings for residents in the long-run. For more information on water restrictions as well as a more exhaustive list of water savings suggestions, residents can visitwww.capetown.gov.za/thinkwater. The City will also be advising consumers of restrictions in an insert in their next municipal invoices. We encourage residents to familiarise themselves with these restrictions and display them prominently in their homes. If residents would like to get clarity on any of the restrictions, they can also view the FAQ document at the link above. If this does not provide an explanation they need they can send an enquiry to water.restrictions@capetown.gov.za. 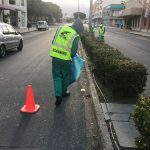 Residents who would like to report contraventions by members of the public can do so by contacting the City’s call centre on 0860 103 089, sending an SMS to 31373, or sending an e-mail to contact.us@capetown.gov.za. Notice is hereby given of the Annual General Meeting of the Strand Business Improvement District NPC that will take place on the 1st November 2016 at 16:30 at the Friedman and Cohen, Corner of Main Road and Wesley Street, Strand. Resolutions presented at the AGM can only be voted on by bona fide members of the Strand Business Improvement District NPC. This membership is available free of charge to all owners of commercial and industrial property within the Strand Business Improvement District NPC, but they must be registered before 18 October 2016. 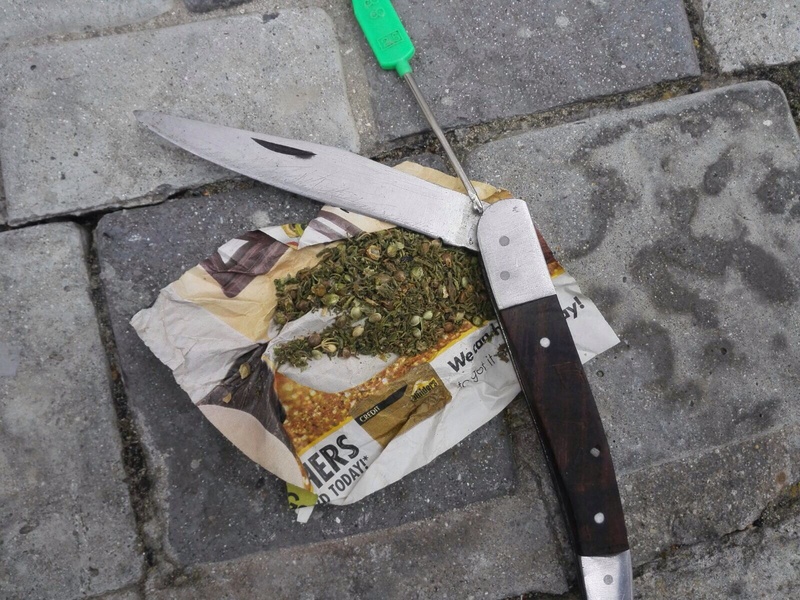 Strand Public Safety officers were on crime prevention foot patrol on the 25th of October 2015 at the back of Gallow Way Centre in Strand CBD when they noticed a male suspect with a bottle neck busy preparing a dagga pipe . The officers approached the suspect and another suspect next to him and questioned both. One suspect had something in his hand and when he was requested to the show what was in his hand tried to flee but was quickly blocked from escaping and the officers noticed that he had dagga in his hand. 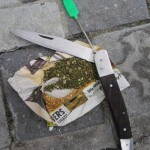 Strand Police was called to the scene,they arrested the suspect after searching him and found a knife in his possession as well. 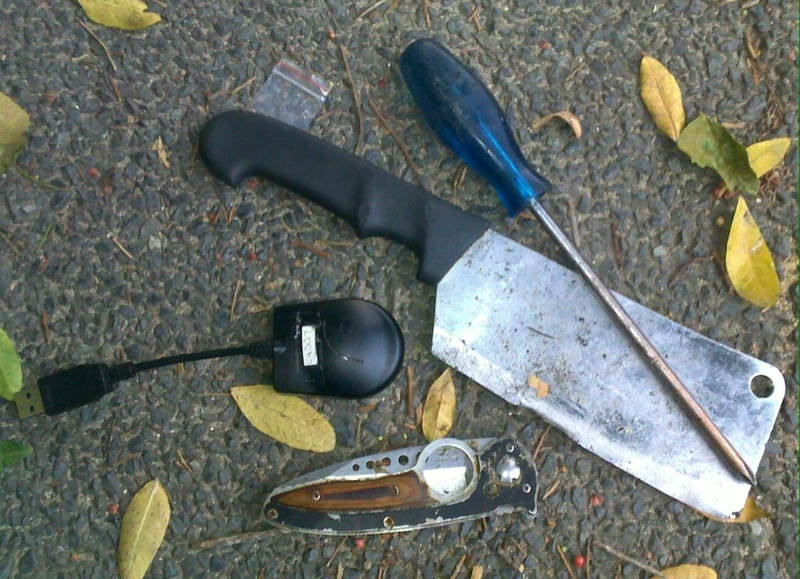 Strand CID Public Safety patrol officers Rohan Nolte Masiwakhe and Bande were on crime prevention patrol at 18:25 on the 25th of October 2015 in Church Street Strand when they found the following items in the possession of a well known mentally desturbed person. 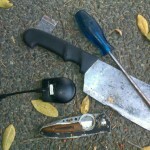 Concerned about his safety, they took the items contacted SAPS and handed it over. Notice is hereby given of the Annual General Meeting of the Strand Business Improvement District NPC that will take place on the 3rd November 2015 at 16:30 at the Friedman and Cohen, Corner of Main Road and Wesley Street, Strand. Resolutions presented at the AGM can only be voted on by bona fide members of the Strand Business Improvement District NPC. This membership is available free of charge to all owners of commercial and industrial property within the Strand Business Improvement District NPC, but they must be registered before 20 October 2015. Sign up here to get the latest updates from Strand BID and Future Strand.